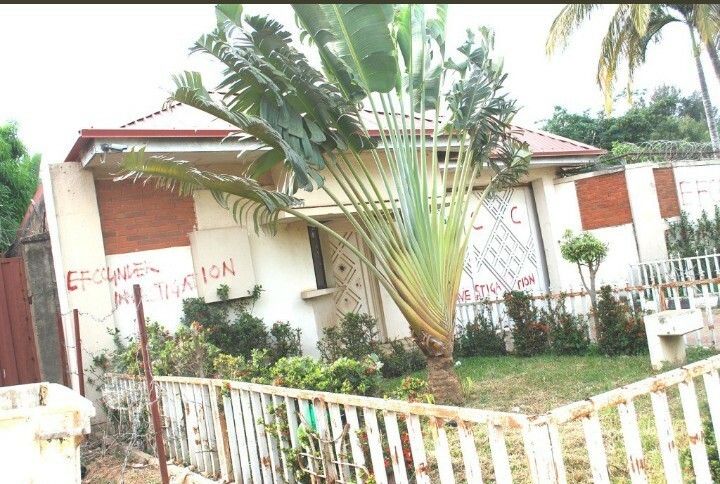 Kaduna (Nigeria) — Nigeria’s anti graft agency, Economic and Financial Crimes Commission (EFCC) have sealed off 6 houses in northern city of Kaduna, allegedly belonging to the embattled former chairman of the Presidential Pension Reform Task team, Abdulrasheed Maina. President Muhammadu Buhari on Monday ordered the immediate disengagement from service of Maina, who was declared wanted by the EFCC in 2012 for embezzling pension funds. Since then Maina ran away, but he however returned and was reinstated last week in an unclear circumstance. According to the EFCC spokesman in Kaduna, Ibrahim Kamal, “the property sealed include a two storey shopping plaza located at number 2C Ibrahim Taiwo road, one storey residential bungalow on Katuru road and 4 residential bungalow houses located in Kano road of Kawo new extension,” he said. He said the operation started on Monday, and it is expected that more property belonging to the embattled Maina may be discovered and confiscated. The sealed buildings were marked “EFCC Keep Off’, Subject of Investigation’.